The recent scandal with the cabinet deciding to not open up the Centre of Registers' data up to news media shows, according to political scientist Šarūnas Liekis that the government still hasn't learnt to consult with the public. 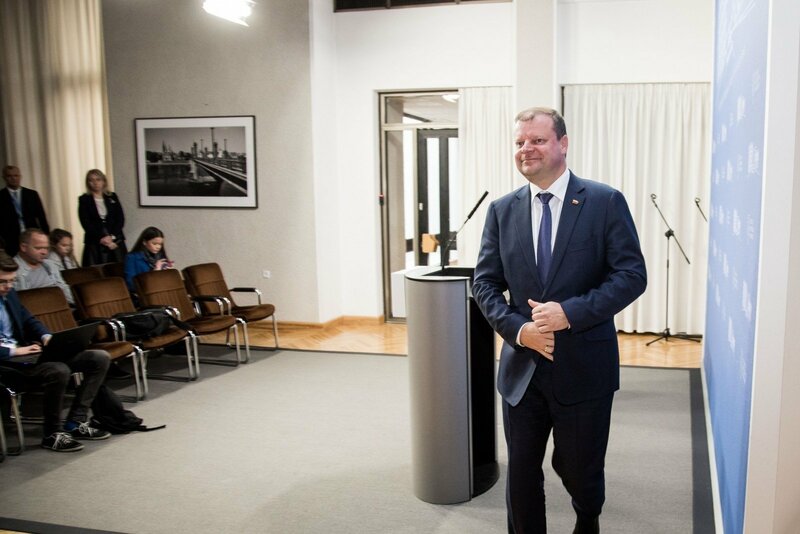 According to him, it should come as no surprise the Prime Minister Saulius Skvernelis also did not learn from the mistakes of previous governments because he worked in the police system all his life and was used to simply giving orders. Meanwhile, public relations specialist Mykolas Katkus is convinced that the clash between S. Skvernelis and journalists shows that the nearly two year long honeymoon between the prime minister and news media has ended, lrt.lt writes. Lrt.lt reminds that last week at a cabinet meeting, amendments presented by the Ministry of Transport and Communications, which were to form opportunities for news media to obtain Centre of Registers information for free, were rejected. According to Prime Minister S. Skvernelis, the project was not met with support because jurists found flaws in it that are to be resolved at some point soon. With news media requesting access to the aforementioned meeting's recording, it was announced that the cabinet chancellery had destroyed the recording. These events had journalists gathering in protest on Monday next to the cabinet building. The leader of the opposition Liberal Movement, Eugenijus Gentvilas told lrt.lt that S. Skvernelis' ministerial cabinet made a number of major mistakes, not inviting news media representatives during its deliberations on the question of making Centre of Registers data available. "Everything was done in reverse: they barred (access to Centre of Registers data), cause outrage, noise, chaos and fell into the pit themselves. Now, sitting in the pit, they realise that they will have to back down anyway, but the storms of anger have been swirling for almost a month now. If they had said "We will change regulations from October 15, come, let's talk," then a compromise would have been found, but no – they cut, stripped the ability to use (Centre of Registers data) for free, then noise arose, along with the various painful public relations consequences for the cabinet and S. Skvernelis personally," E. Gentvilas commented. The Liberal leader mused, when asked, why the cabinet did not grant journalists the right to freely use data from the Centre of Registers and did not release the cabinet meeting's recording, that Prime Minister S. Skvernelis does not comprehend the role of news media in a democratic state or because he seeks to silence journalists performing investigations. E. Gentvilas did not conceal that he is inclined toward the latter scenario. According to the politician, efforts to obstruct the work of journalists at the hand of the majority are also linked to the nearing elections. "After being in power for two years, much can be uncovered about you. Take how the LRT Investigation Department uncovered that R. Karbauskis or Agrokoncernas make use of a state enterprise to sell R. Karbauskis' fertiliser. He not only has his own fertiliser sale network, but also wants the state to trade in the product. Thus, the state enterprise is made into a servant, which trades in Agrokoncernas fertilisers. The majority does not want to look like this prior to the elections, thus they are seeking for such cases to not be uncovered," E. Gentvilas stated. Vytautas Magnus University professor, political scientist Šarūnas Liekis believes that the scandal over refusing to make Centre of Registers data available to journalists shows that the Lithuanian government, in making its decisions, still has not learnt to consult the public and especially – interest groups. According to him, Prime Minister S. Skvernelis' cabinet has been no exception. "None of the cabinets made use of the consultation model. Little information, little consultation with interest groups, just sorting out affairs as they see fit. This causes problems. Decisions must be coordinated with interest groups, the Journalists' Union in this case. No one wants to do this, no one wants to take it up because they are not thinking it is a value, interest groups are not viewed as serious partners. All that is beyond the institution of the ministerial cabinet is viewed as an obstruction. The weakening of civic society is an indicator of this situation. The state not only fails to create opportunities for civic society to influence its decisions, but is even ruining civic society," Š. Liekis commented to lrt.lt. When asked, why S. Skvernelis failed to contain the situation and a conflict erupted between the government and the news media, the political scientist reminded that the current prime minister worked in the police system all his life, thus it is likely still difficult for him to resolve dilemma in the political arena and seek compromise. "All of S. Skvernelis' life has been spent in a statutory institution. He gives commands to, for example, three police stations, the rest salute and execute the commands, but here it is more difficult – the government is no statutory organisation. In this situation, it is a clash of two different cultures," Š. Liekis highlighted. The head of the communications agency Fabula, public relations specialist Mykolas Katkus tells lrt.lt that the antagonistic relations between Prime Minister Saulius Skvernelis and news media should come as no surprise. According to him, with a cabinet's term reaching its midpoint, the heads of cabinet – ranging from Andrius Kubilius to Algirdas Butkevičius – would often face more criticism from journalists. This cabinet's case is no exception, M. Katkus believes. "To me, it appears that S. Skvernelis' honeymoon with the news media has reached its end. There is nothing particularly strange about this. Usually, all cabinets, which reach the midpoint of their term, eventually seek to regulate relations with the news media and reach a certain end of their honeymoon. For a time, a certain part of the news media criticised the head of cabinet, but overall, S. Skvernelis was viewed far more favourably in the media than, say, R. Karbauskis. Now the sort of honeymoon has ended, there appears to be no trust left and every action of the cabinet is viewed with much criticism," M. Katkus explained. According to the communications specialist, if such questions regarding the Centre of Registers arose at the beginning of the Skvernelis cabinet's term, such an uproar would not have arisen. "I believe that the ruling majority and journalists' relations have reached a certain breaking point. I do not think that such a discussion would have appeared at the start of term, (...) or would have been met with such an acute reaction. I believe that perhaps the news media would have negotiated for a transitory period, how they could temporarily make use of Centre of Registers data. At this point, events coincided with discussions of the parliamentary investigation on LRT and we have heard a slew of initiatives before, which were targeted against the news media, thus it so happened that S. Skvernelis and journalists' relations have reached the stage of a Cold War, where any clash between the cabinet and journalists automatically turns into the sort of scandal we just witnessed," M. Katkus stated. 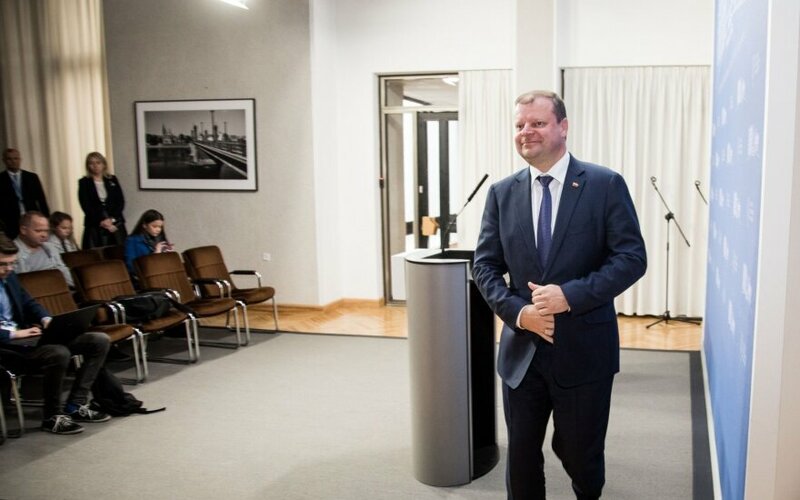 The public relations expert agreed that mistakes were made in the cabinet's public communications about the release of Centre of Registers data, however according to him, the foundation of the conflict was not communications, but a lack of trust between Prime Minister Saulius Skvernelis and the news media. "Even if S. Skvernelis had not planned to close away data from the Centre of Registers – we did not hear the meeting's sound recording – journalists would not have believed him," the expert pointed out. According to M. Katkus, the cabinet will finally decide to allow journalists to use Centre of Registers data free of charge. According to him, even more can be expected from S. Skvernelis in the name of peace. "It is a very poor strategy to clash with the news media. I have no doubt that S. Skvernelis will have to reduce that distrust. One way is to speak with those journalists, that news media, which is more favourable to his position in this and other situations. On the other hand, I believe that we can expect certain symbolic moves from S> Skvernelis, which would be a display of respect to the news media," the communications specialist commented.